All About Real Estate is proud to present to the market this solid two storey home. This home sets an impressive visage from the street with a towering roofline that only hints at the spacious proportions within – a manicured driveway is edged with flourishing tropical gardens that screen the home and add in a welcoming ambience – this home is move in ready. 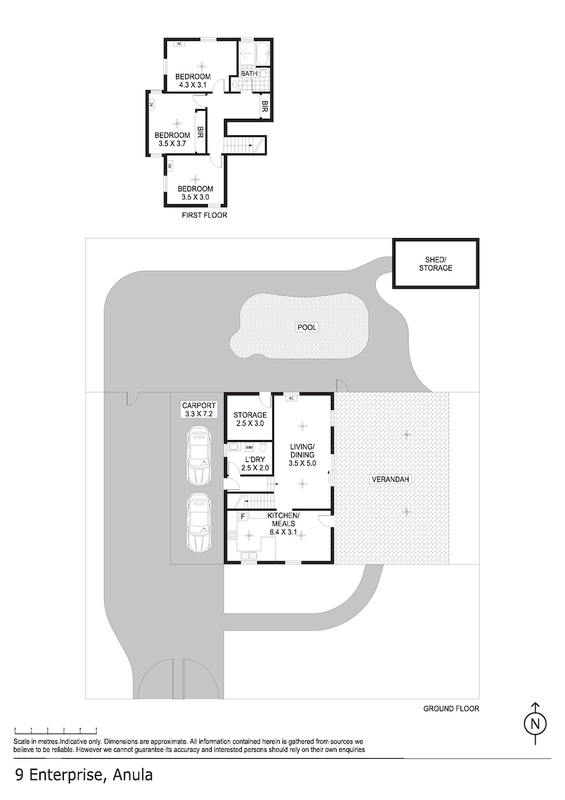 At the front of the home is a paved driveway that leads through to a carport parking bay for two plus a secondary parking area that has a shade sail overhead. A pathway cuts through the garden which leads directly to your entertaining area which has an abundance of space. 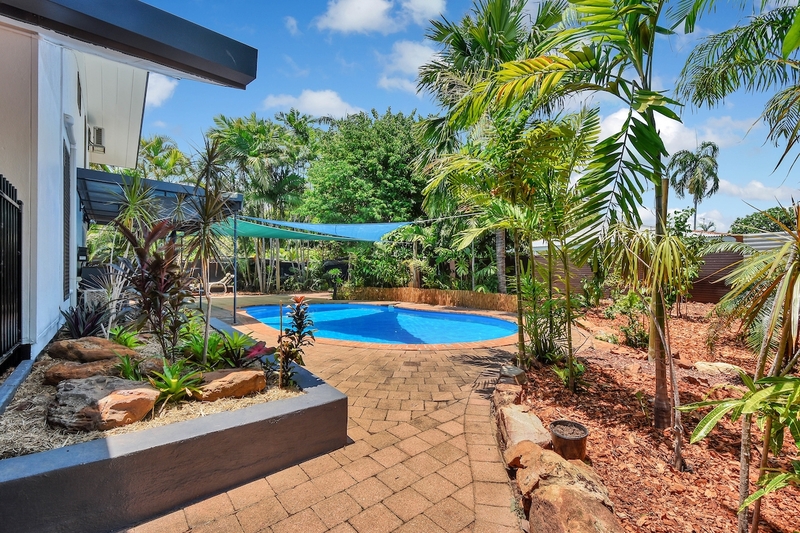 On the ground level of this spacious abode is a large living room with tiled flooring and A/C and sliding doors that lead out to the extended verandah and outdoor entertaining areas. The dining room is separate from the living room and sits adjacent to the fully functional kitchen space that boasts wrap around cabinetry, overhead storage, breakfast bar and pantry! Upstairs the home offers three large bedrooms all with louvered windows and tiled flooring plus the main bathroom is on this level and it includes a modernized design with walk in shower and relaxing private bath tub. The family will love to spend time entertaining and overlooking the manicured gardens and the sparkling in ground swimming pool. This area is well lit and has ceiling fans as well as custom made retaining walls and raised garden beds. Beside the pool is a paved entertaining area that is sheltered under a sail and back dropped against the manicured tropical gardens, this would be a perfect setting for a picnic with the kids or a garden soiree under the stars. This home is perfectly presented for sale so you can see yourself living here, the property is move in ready and can be yours before Christmas if you act swiftly – just imagine what life could be like in this stunning home – magic.